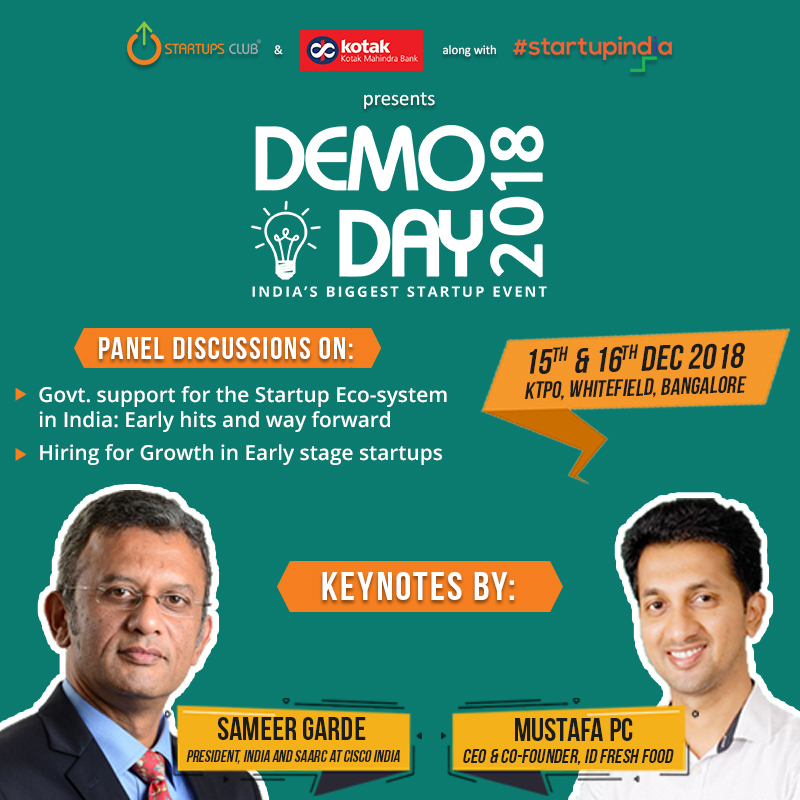 Startups Club in collaboration with Startups India announces THE BIGGEST STARTUP EVENT, ever conducted in India this December. A weekend that will bring entrepreneurs, startup founders from different Industries across the country. After the phenomenal success of Demo Day 2017, with entrepreneurs and business owners from 43 cities in India, this year we are bringing together more than 10,000 decision makers from across the globe on this platform to celebrate the ‘Spirit of Entrepreneurship’. Discover investors, customers, partners and collaborators. Demo Day is one such event that has given wings to thousands of entrepreneurs. In the last 6 years of its baby steps it took to reach where it is this year, it is well positioned to become a festival, a celebration of collaborations and productive associations to all those present.